Cancer affects you as well as the patient. Caring for the emotional and physical needs of your loved one with cancer can be fulfilling. Is it possible to care too much?? While you are ensuring that the needs of your loved one are being met, you may overlook your own well-being. Caregiving results in emotional and physical stress to the caregiver. You may feel exhausted, isolated, unhappy, or overwhelmed. You may even feel selfish or ashamed for thinking about your own health and needs. At times, you may be consumed with self-doubt. You are trying to do your best–but nothing has prepared you for cancer caregiving. It is important to recognize the signs of compassion fatigue, before taking care of others affects you. Cancer Hope Network has support for the caregiver. At Cancer Hope Network, we offer free, one-on-one confidential support to those who are caring for a cancer patient. 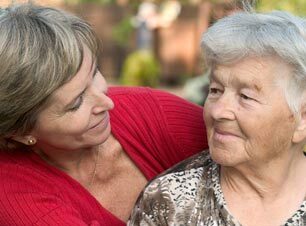 By talking with our Caregiver Support Volunteers, you will find that the emotional or physical strain you may be experiencing is not unusual…and that showing your love and concern doesn’t have to hurt you. Our Caregiver Support Volunteers are people like you who have been patient caregivers or people like your loved one who know, firsthand, what it is like to live with cancer. Our Caregiver Support Volunteers understand the challenges of caregiving because they have experienced it themselves. You are not alone…we are here to listen and support you. Our volunteers can provide you with the emotional support and encouragement you need. If you’re looking for someone to talk to, call 877-467-3638 or visit our website at http://www.cancerhopenetwork.org.